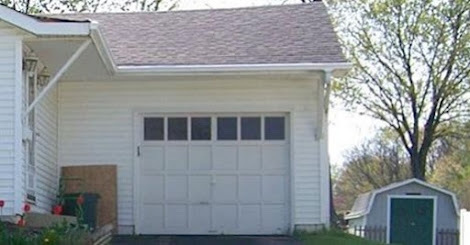 Home › Science & Technology › Dad Installed A New Garage Door. But Look What He's Doing With The Old One. Genius! Dad Installed A New Garage Door. But Look What He's Doing With The Old One. Genius! Renovations are sometimes necessary to keep a house fresh, comfortable, and safe. But renovations also create a lot waste. Most people probably take their old construction materials to the dump, but an Instructables.com user decided to take advantage of the family’s old garage door after it was replaced. 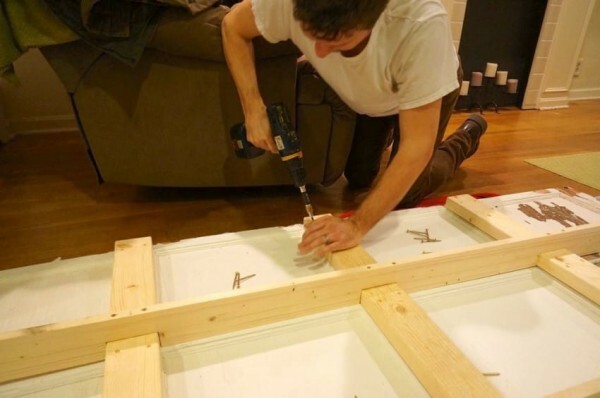 He shared his project on the website and won praise from impressed homeowners and DIY-ers. And when I also saw the end result? I have to say, it’s an incredible transformation! 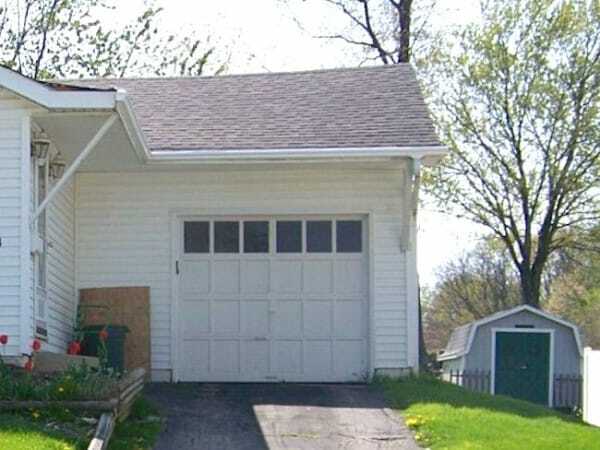 A few years ago, Instructables user jmitch77 switched out his old, wooden garage door for a lighter aluminum alternative. But instead of simply throwing out his old door, he saved it. He was sure he could put it to use some day. Then one day, he had a bout of inspiration and realized that the old garage door would make a perfect dining table. 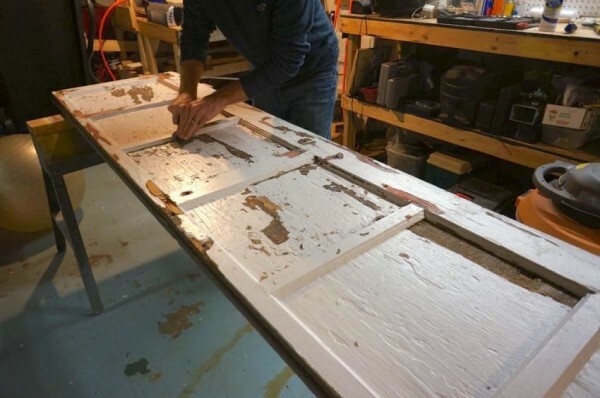 He began by cleaning and sanding the old door. 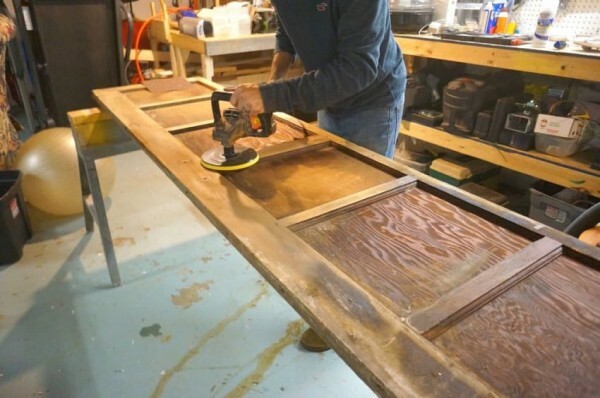 Since the family was going to eat at the table, he made sure to remove all the dirt and grime that collected on the door over the years. 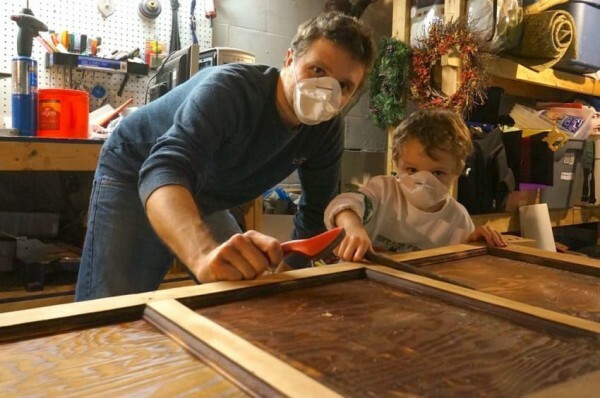 The job normally would’ve been tough, but luckily, he had a helper to made the restoration fun and easy. 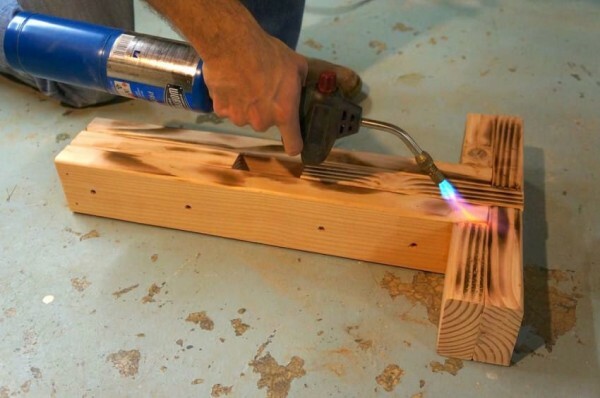 When he finished cutting the table top, he set to work on the table legs. 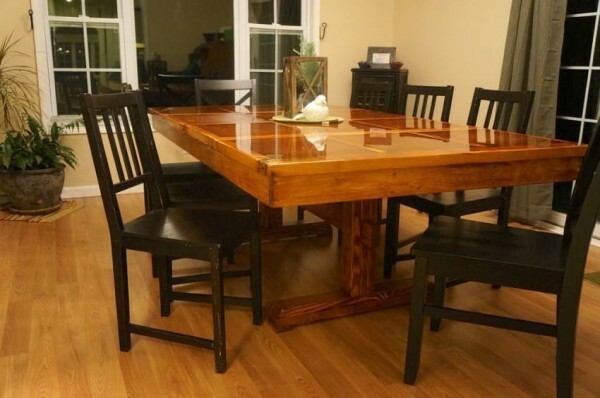 His wife wanted the table to have farmhouse legs, so he made them and scorched them to give them a weathered look that would match the table top. The job required a lot of knowledge, but the full-time carpenter was in full control of what he was doing. 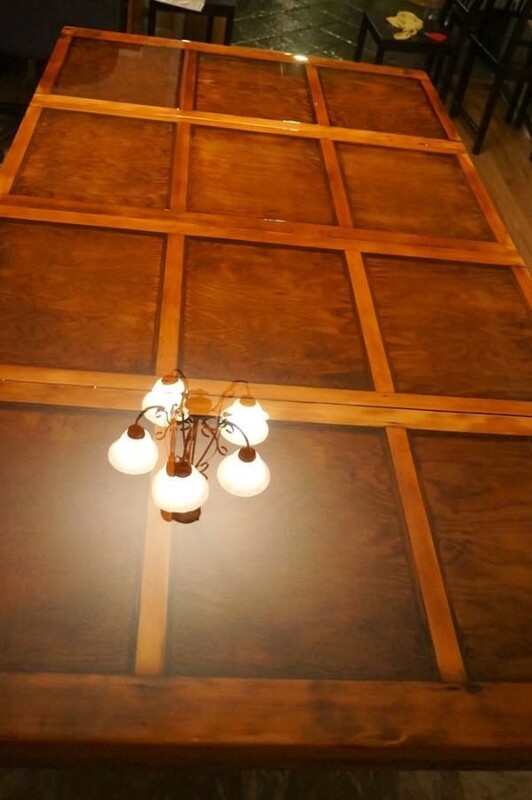 With the legs in place and the table top cut, it was time to give his masterpiece a few coats of epoxy. Are you ready for the end result? 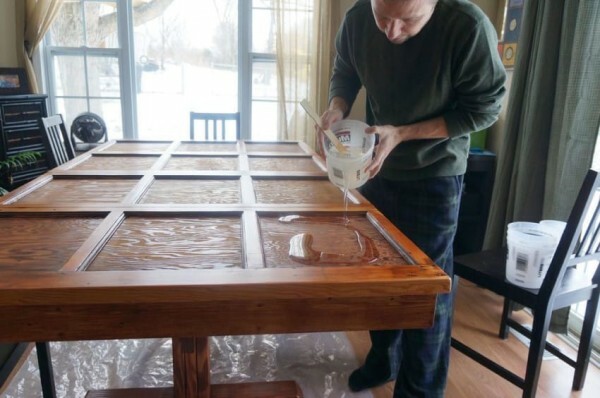 Thanks to his creativity, the carpenter managed to transform the old garage door into a beautiful dining table! 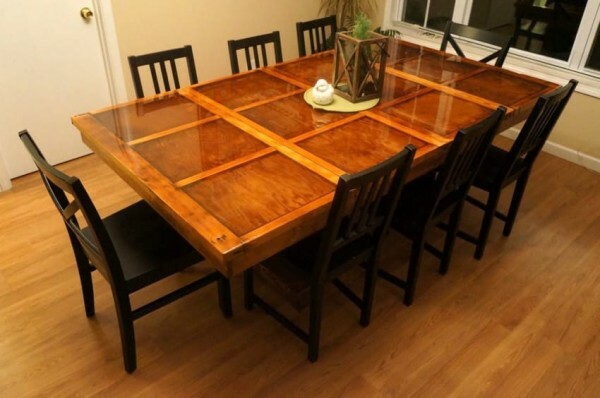 Who wouldn’t want this table in their dining room? 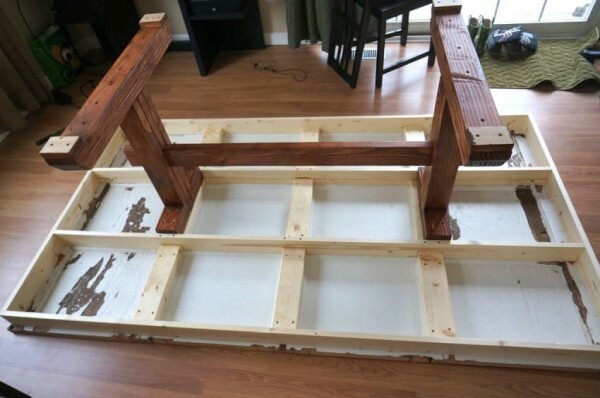 It’s sturdy and beautiful! Talk about good upcycling! Share these picture if you think Mitch deserves a round of applause for his fine work!